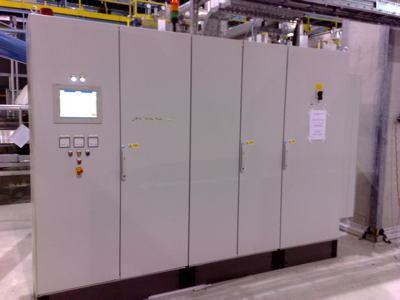 Electrical Control Panels from PLC and Drives Co Ltd.
PLC and Drives provide in-house control panel design and manufacture. Our engineers are trained on the latest CAD techniques for fast and efficient design and build. We can provide drawings in AutoCAD or Eplan Electrical. Our panels are built to CE standards and can be tailored to the specific need of our customers. We provide a fast turnaround and all panels are fully tested before they leave our facility. From individual panels to fully distributed systems. Designed with installation in mind.